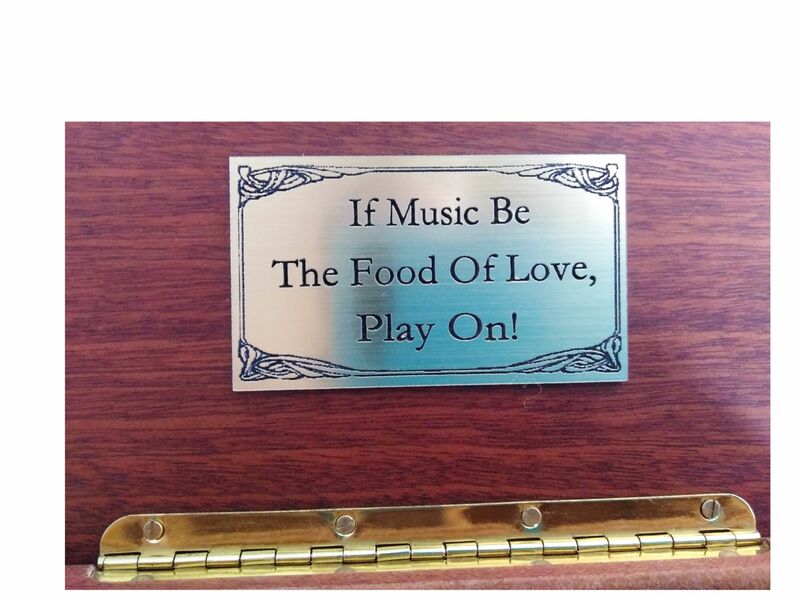 This music box is wound from underneath, when you lift the lid the music plays. 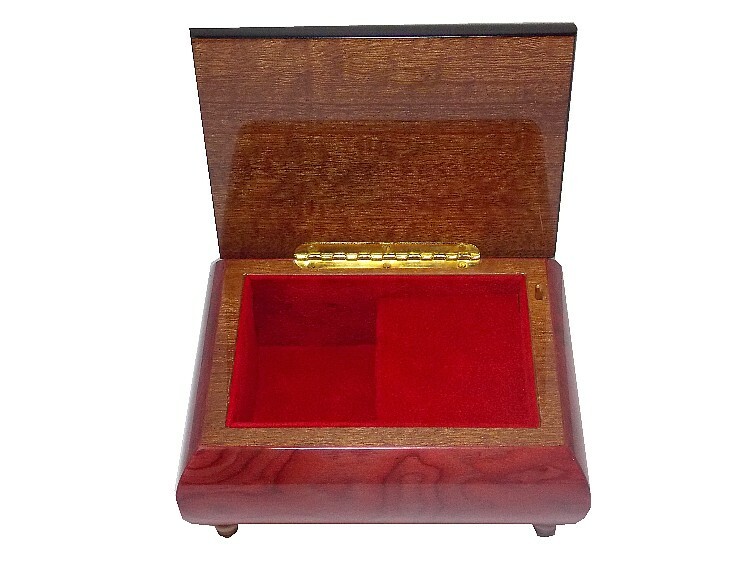 This fine wooden musical jewellery box is hand made, finished in a rose veneers, and coated in a gloss lacquer. The marquetry set into the lid is of a beautiful and elegant heart and roses design. An ideal gift for a loved one. 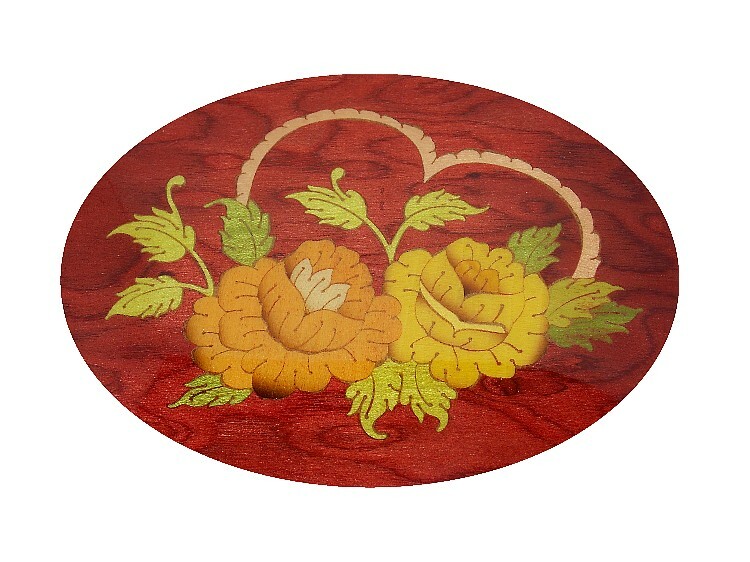 Approx Size :148mm x 116mm x 67mm. If the tune you require is not listed, please contact us and we can advise whether it is available. 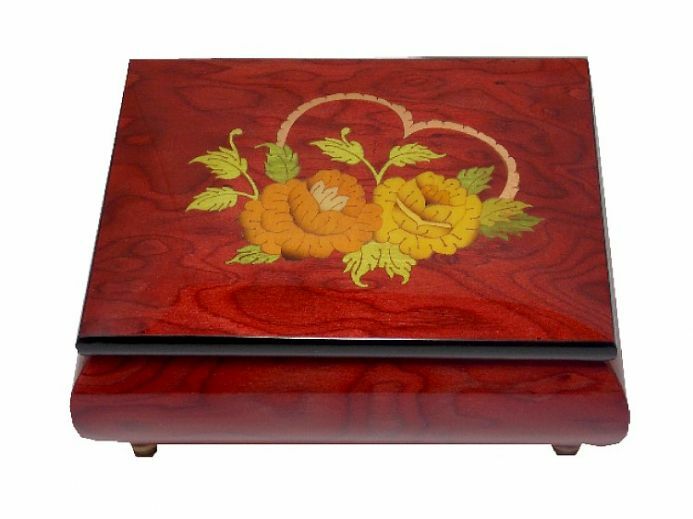 Putting a tune label inside the music box lid is a historical tradition in musical box manufacture, today antique boxes with the original label are always preferred by collectors as it can prove the movement has not been changed and confirm the supplier or manufacturer. 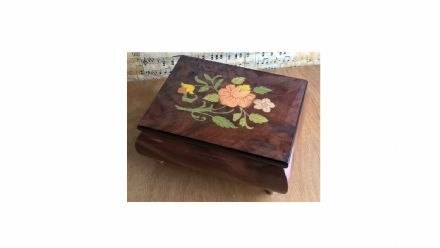 Please be aware that although these music boxes and the components inside are sealed, they do contain small parts and a removable metal key. If you are unsure about suitability, please telephone and ask one of our staff for guidance.